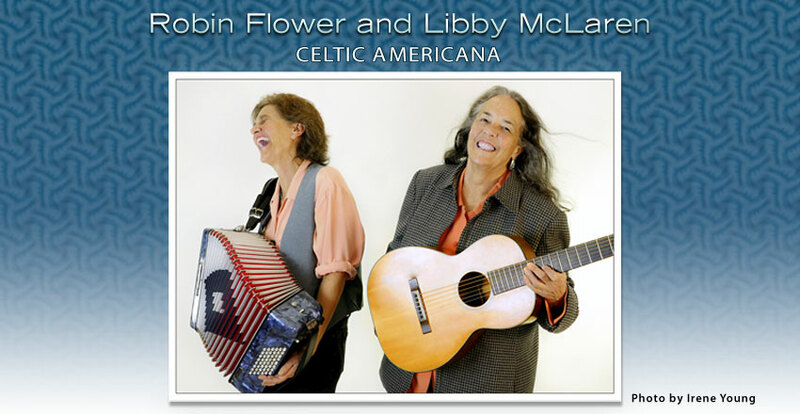 Libby McLaren is an exceptional vocalist and multi instrumentalist, featuring piano and accordion as her main instruments, while blending in tin whistle and banjo when needed. Find her at www.flowerandmclaren.com/libby for lessons and chorus information. Robin Flower is a wildly creative musician. Her technical expertise on mandolin, guitar, and fiddle results in great romps through her own original instrumental compositions, songs and traditional fiddle music. Robin has been an innovator, moving convincingly through a myriad of styles resulting in music that is hauntingly beautiful as well as intellectually challenging. The Freight & Salvage Coffeehouse is a nonprofit community arts organization dedicated to promoting public awareness and understanding of traditional music music that is rooted in and expressive of the great variety of regional, ethnic, and social cultures of peoples throughout the world. If you have a website that you feel would be of interest to our visitors, don't hesitate to contact us at robinandlibby@flowerandmclaren.com. We are always open to adding or exchanging links with other music or culturally related websites.